Be the Light of your Community – Nite Time Decor by SeaScape - SeaScape, Inc.
Landscape lighting design, installation, and services for homes and businesses. SeaScape’s Christmas Décor lighting division is expanding into year-round lighting opportunities and is now offering landscape lighting. 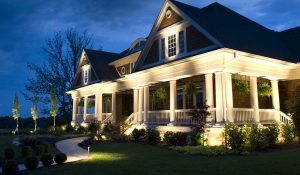 As the recognized outdoor lighting professionals in the area we can provide you with instant curb appeal that allows your home’s beauty to shine throughout the evening. For more information on our services and to view a full portfolio of landscaping lighting design options, please visit here.